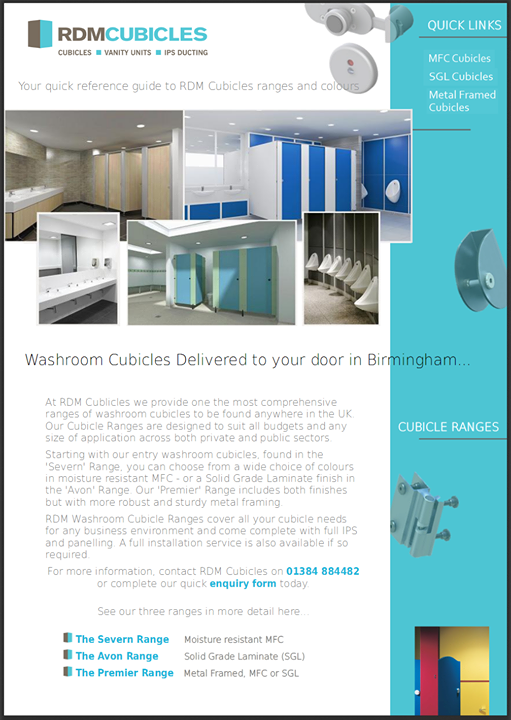 Whether you’re looking for a replacement washroom cubicle solution or need a full range of cubicle systems including IPS Panels & Ducting along with new Vanity Units, then RDM Cubicles are on hand to help all types of customers across the Telford & Wrekin area. 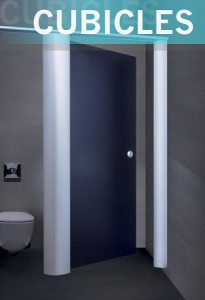 As a Midlands based Washroom Cubicles Supplier, RDM Cubicles are located within minutes of most major road networks and can usually deliver orders dispatched from our offices in Stourbridge to the Telford area within the hour. Please take a look at our diverse ranges of cubicles: The Severn Range; for Moisture Resistant Melamine Faced Chipboard Cubicles – For Solid Grade Laminate Systems then our Avon Range has all the options covered, whilst our Premier Range, offers a choice of sturdy metal framed Cubicle solutions, where you can choose from both an MFC or SGL finish.